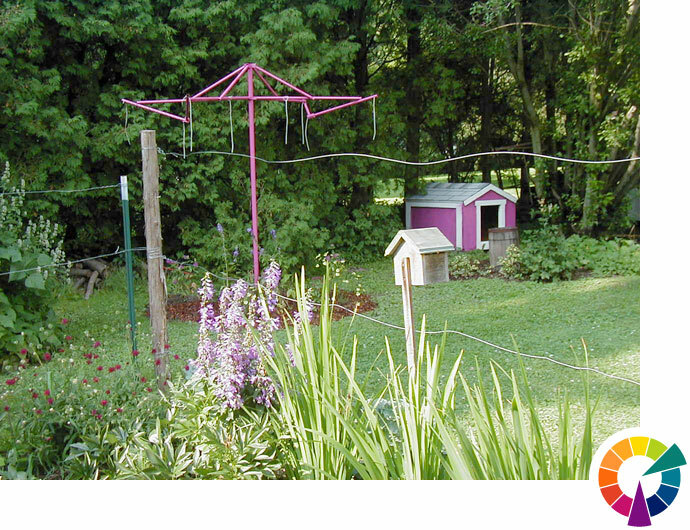 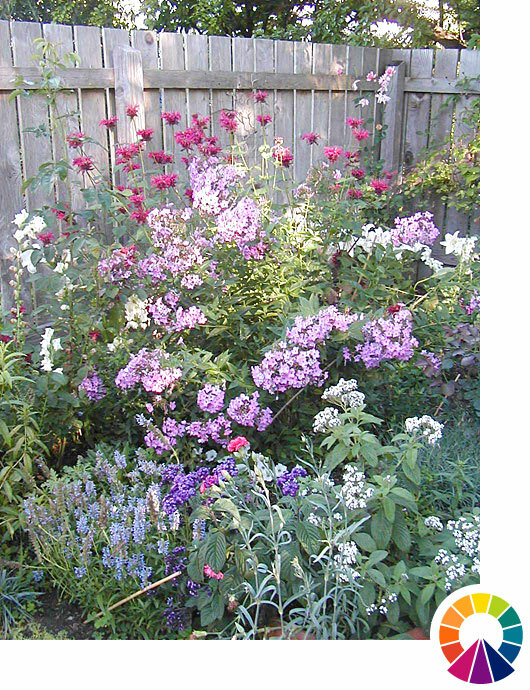 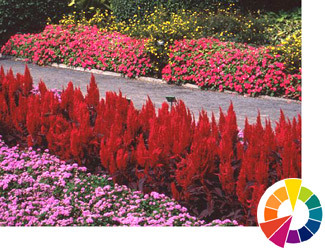 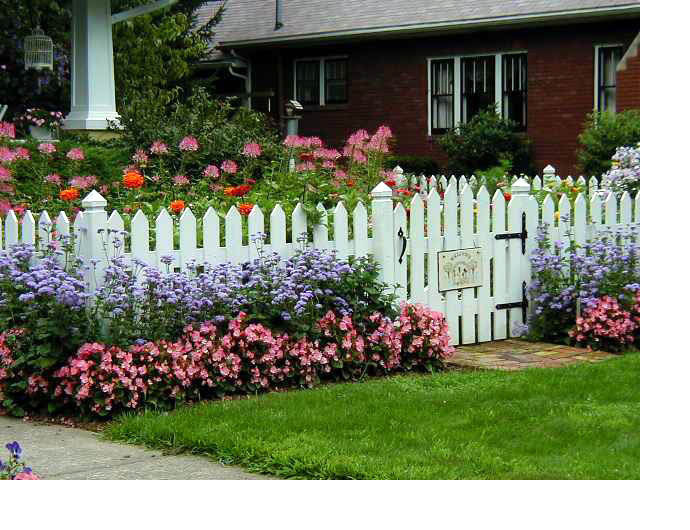 There is no right or wrong when it comes to color in the garden.� Color choices are a matter of personal taste. 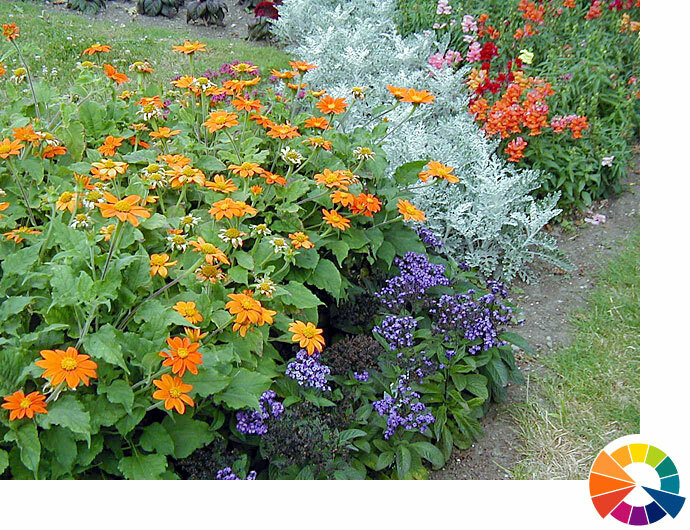 For some, a riot of color is just the ticket. 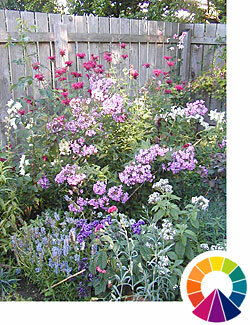 Others prefer to work with a simpler palette. 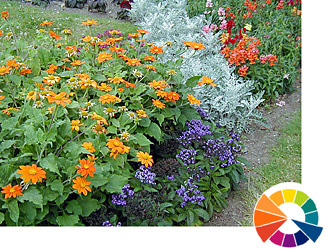 Understanding the basics of color theory (which artists often use to guide them when they mix paint) can help explain why certain combinations work for you, and why others don't.� It can help you combine different colors of blooms, foliage and other elements in ways that you find pleasing. 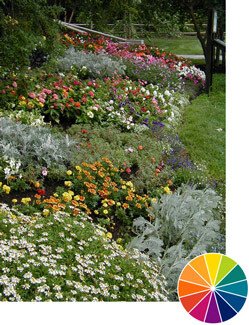 Don't limit your color thinking to just blooms.� You have extensive color choices with foliage, too.� Beyond the many shades of greens, foliage comes in countless yellows, reds, blues, grays, and earth tones.� Bark, buds, fruit and other plant parts contribute to your palette, as well. 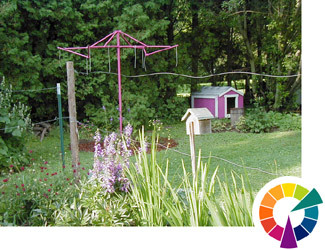 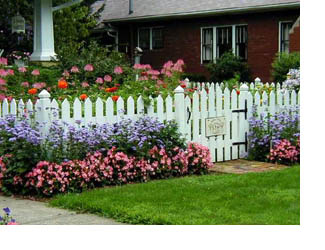 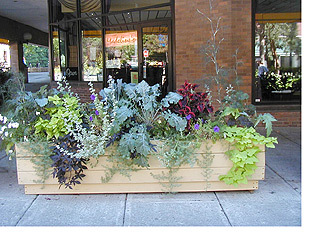 Use color on structures for interesting effects.� Split rail fences, arbors, seating, structures and enhancements don�t have to be dull brown or black.� Painted pots and boldly colored window boxes can complement or contrast with plantings.� A vivid blue bench, brightly painted birdhouse or purple dog house can liven up your landscape. 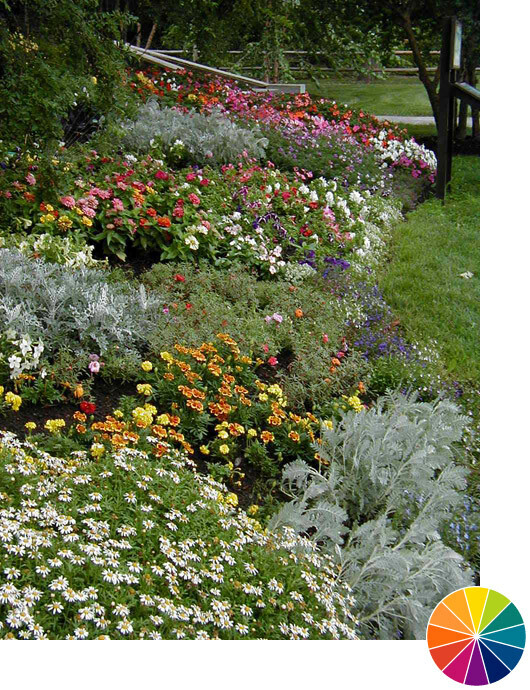 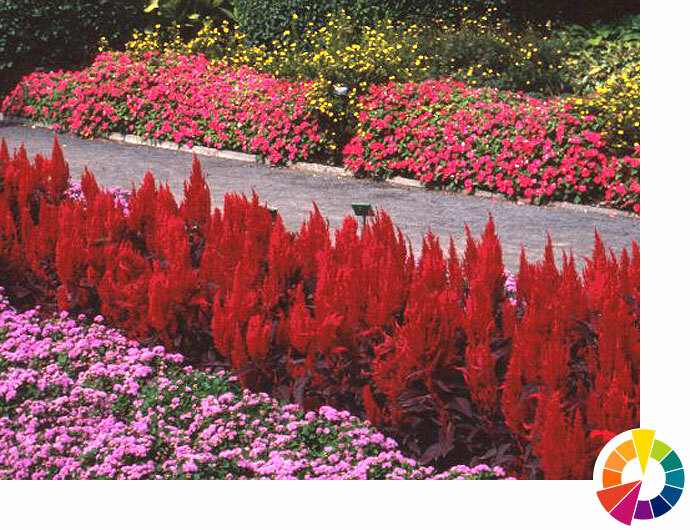 Keep in mind as you plan that most landscape and garden designers agree that color schemes are more effective when you use large masses of color, and not single plants or blossoms in a scheme.� Group plants in drifts for maximum impact.